With us, you’re not just getting electronic and electromechanical solutions for nearly every sector: we also provide support with extensive services that range from construction and simulation to manufacturing backed by certifications and licenses. We create sketches, design circuit board layouts and develop software. In our virtual factory, we work with manufacturers to ensure the smooth execution of your project. 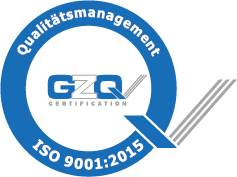 Our certified quality management guarantees our high standard of service. All processes, logistics included, are designed to be cost-effective and transparent. Your project is in good hands with us. SUCCESS STORIES YOU WILL WANT TO READ. A variety of topics, extraordinary abilities: our success stories speak for themselves.